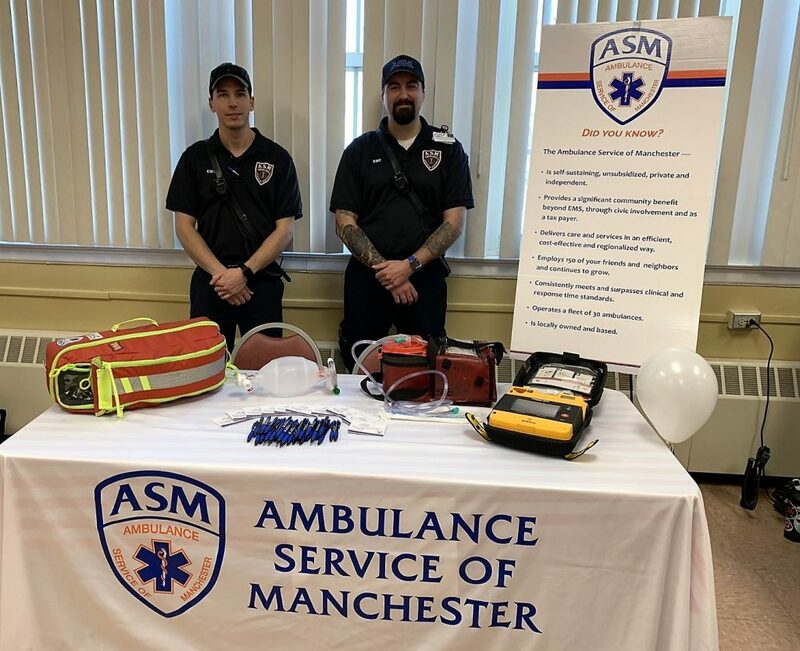 Ambulance Service of Manchester Paramedic Matt Traber and EMT Matthew Kleza teamed up with Somers Fire Department and Somers chapter of S.A.D.D. (Students Against Destructive Decisions) to partake in a Mock D.U.I. 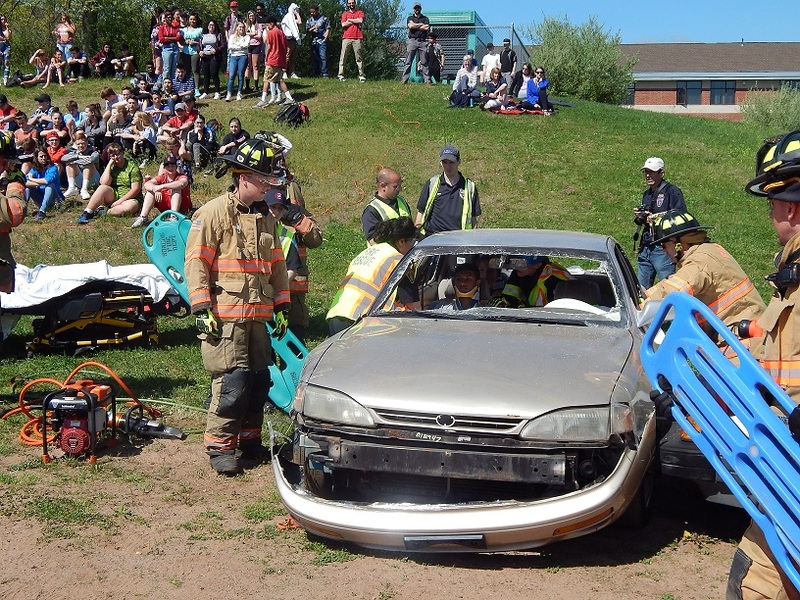 crash at the high school on Thursday, May 3rd, 2018. 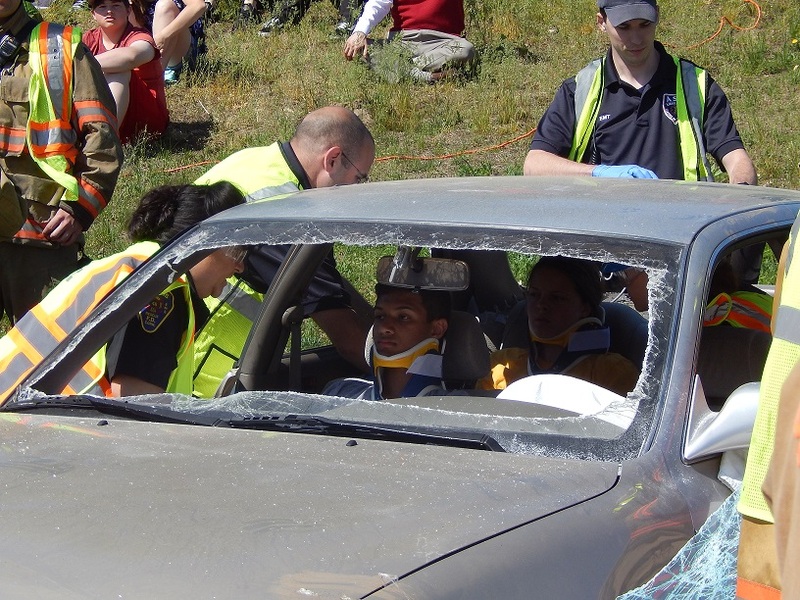 The goal of the event was to educate students, parents, and community members about the risks and consequences associated with unsafe driving practices, including driving under the influence. 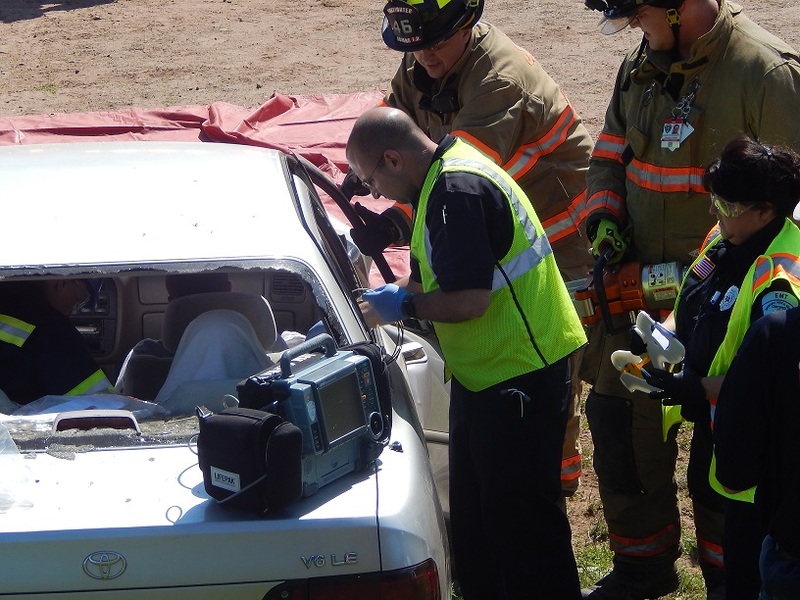 ASM assisted by demonstrating a few assessment and treatment techniques required following a motor vehicle accident. 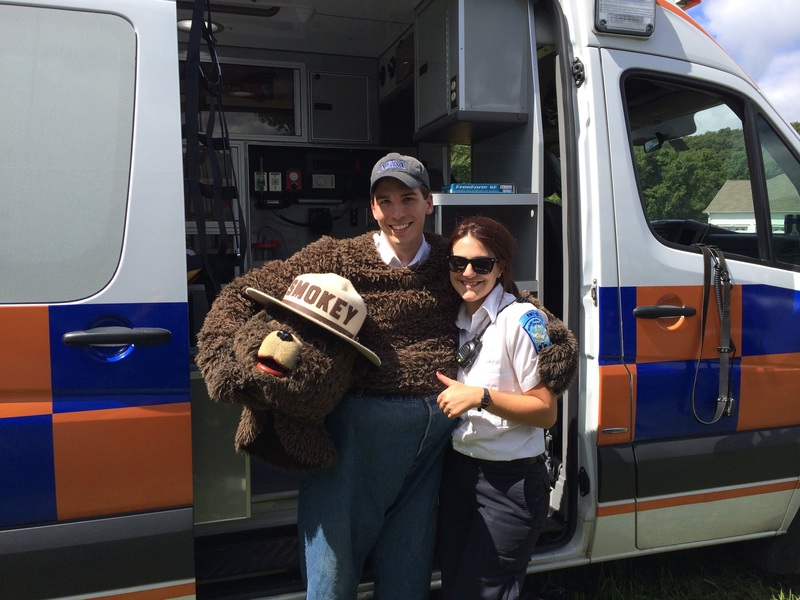 BOLTON — On September 5, 2015 a crew from the Ambulance Service of Manchester was on hand at Fish Family Farm for the Lutz Children’s Museum’s Farm Day 2015. The event, which drew over 3,000 people, included animals, live music, hay rides, bounce houses, farmer’s market, games and farm fresh ice cream. 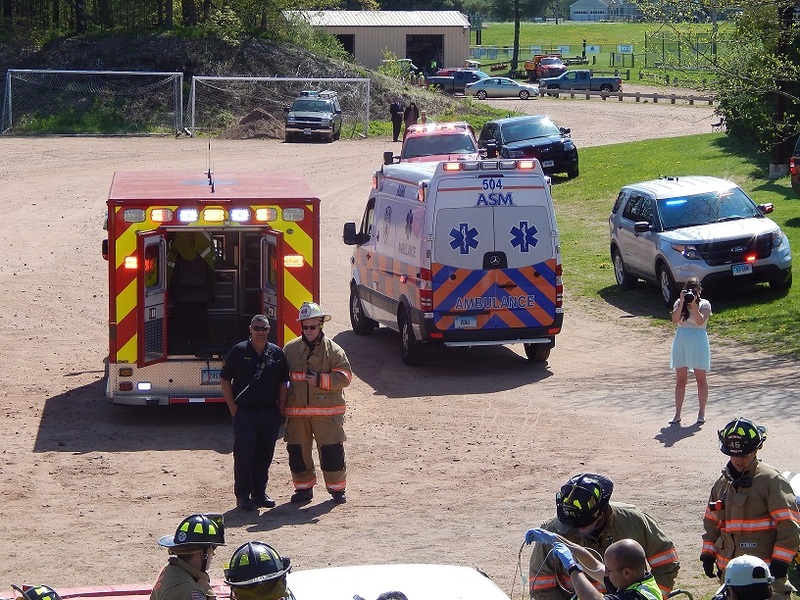 ASM performed a medical standby alongside Bolton Fire Department partners. The standby served a dual purpose as the children were able to take tours of the ambulance and fire apparatus. 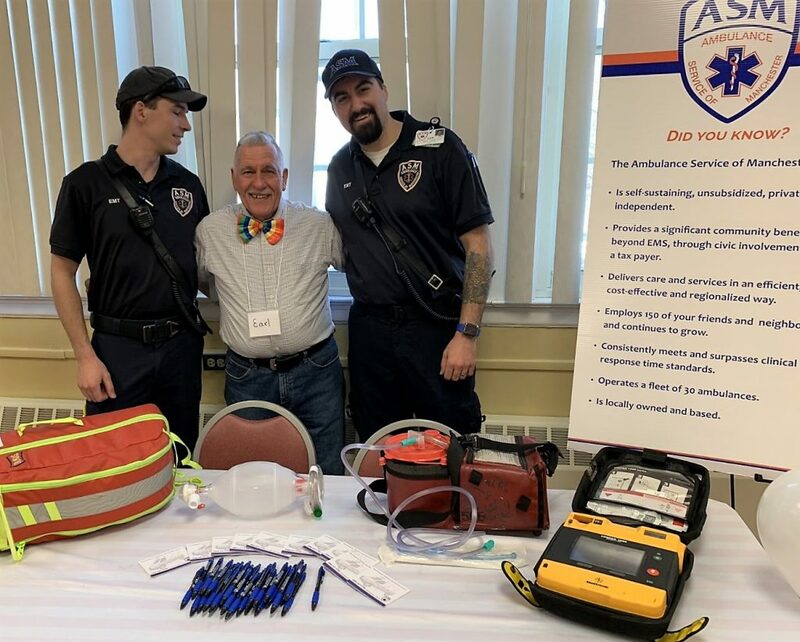 The ambulance crew was Heather DiGirolamo and Matt Kleza, the same two from last year, and they took pictures from the event. BOLTON — On August 30, 2014 a crew from the Ambulance Service of Manchester was on hand at Fish Family Farm for the Lutz Children’s Museum’s Farm Day 2014. The event, which drew over 3,000 people, included animals, live music, hay rides, bounce houses, farmer’s market, games and farm fresh ice cream. 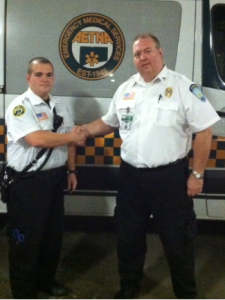 ASM performed a medical standby alongside Bolton Fire Department partners. 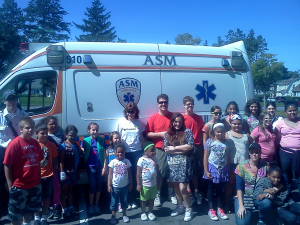 The standby served a dual purpose as the children were able to take tours of the ambulance and fire apparatus. 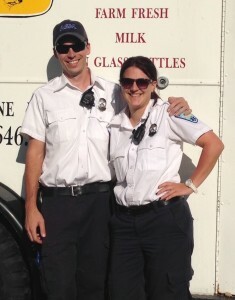 The ambulance crew was Heather DiGirolamo and Matt Kleza and they took pictures from the event.